Attendees will receive a 195-page course workbook and learn the fundamentals of using QuickBooks as a cash-flow and management decision-making tool. This 4-hour course covers user security, chart of accounts, payables, receivables, sales tax, reports, items, journal entries and much more. The overall emphasis is placed on using QuickBooks to its full potential as a management tool. Attendees will be able to identify and avoid the 21 most common errors in using the software, methods to deter and detect fraudulent activities, third-party application integration and creating custom financial reports that aid in day-to-day decision making. Course size is limited to allow for significant customization of material and attendees are encouraged to take advantage of a half-hour consultation (covered in the course fee) to apply concepts learned in the course to their own books. 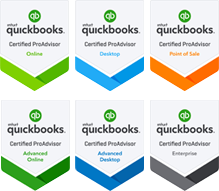 The training uses QuickBooks Premier 2016 Desktop version to demonstrate topics. Attendees will receive a course workbook and learn the detailed components of advanced inventory – with in-depth analysis of item types and their accounting treatment, inventory adjustments and troubleshooting. The second half of the course discussed payroll items, payroll setup, liabilities, troubleshooting, labor job costing and analyzing the various options of payroll services available. Attendees will be able to differentiate between pros/cons of different services and select the best choice for their business. The training uses QuickBooks Enterprise 2017 Desktop version to demonstrate topics. Ever wonder how you can integrate accounting checks and balances into your already-too-busy daily routine as a business owner? With fraud cases and insolvencies on the rise it is absolutely imperative to understand your financials and hold your accounting team “accountable” in the proper areas. Learn what QuickBooks can do for YOU that your team may not even know about. Know how to analyze your financials and what to ask your team for. 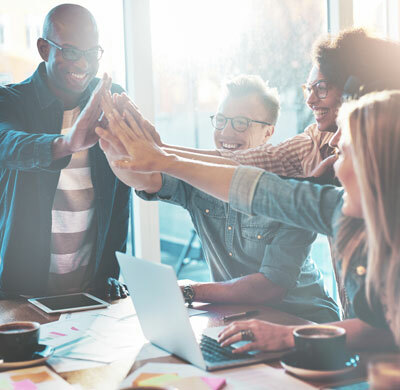 In this 2-hour accelerated course, attendees will learn how to create comparative financial statements, identify business trends, customize QuickBooks to track the data specific to YOU, run job costing reports, send automatic reports, determine if cash or payroll accounts are off, use the audit trail, identify well-studied fraud yellow flags, how to protect and prevent fraud, and what options available to gain and view access to their books in real-time and more. The training uses QuickBooks Enterprise 2017 Desktop and Online version to demonstrate topics. The overall emphasis is placed on using QuickBooks to customize its features to individual business needs. Attendees will be able to identify and avoid the 21 most common errors in using the software, methods to deter and detect fraudulent activities, third-party application integration and creating custom financial reports that aid in day-to-day decision making. The training uses QuickBooks Online to demonstrate topics.